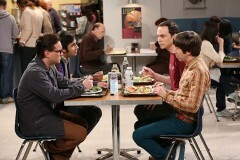 We have added pictures from next week's episode of The Big Bang Theory, "The Prom Equivalency", to our gallery. Take a look at previews of the pictures below and head over to our gallery to view the full album. View more pictures in The Prom Equivalency album.